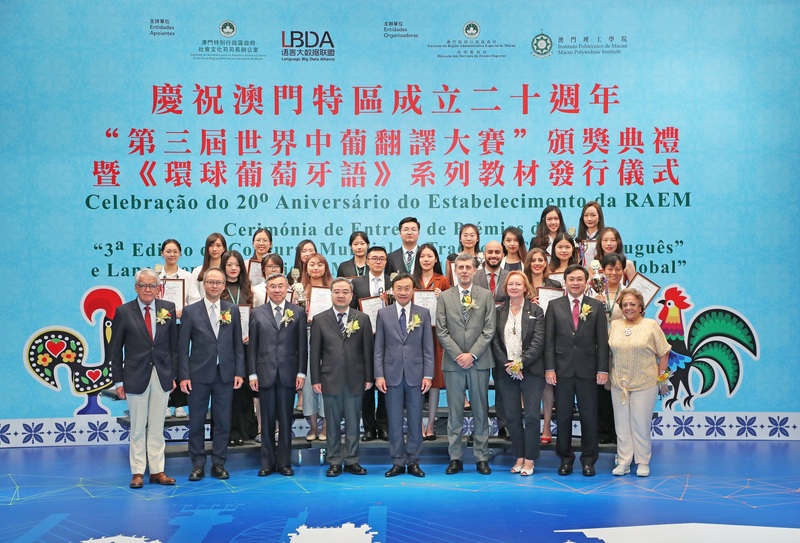 Since 2017, the Higher Education Bureau (formerly named Tertiary Education Services Office) of Macao SAR Government (DSES) and the Macao Polytechnic Institute (MPI) have jointly held two terms of the World Chinese-Portuguese Translation Competition (WCPTC), which have been appreciated and supported by many participants worldwide. 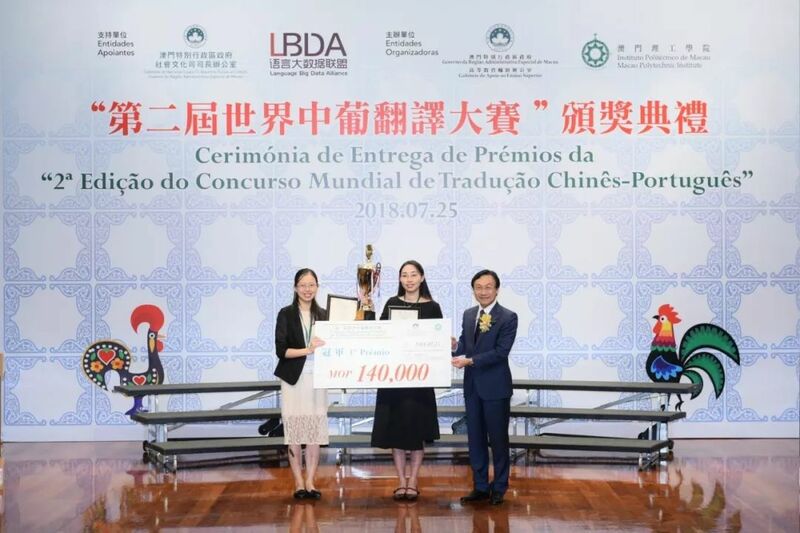 These two competitions have attracted 87 and 117 participating teams respectively, formed by totally about 600 to 700 teachers and students of the Chinese-Portuguese / Portuguese-Chinese translation majors from higher education institutions in Macao, the Chinese mainland and the Lusophone countries. They participated with great enthusiasm in these world-class events and obtained outstanding results. 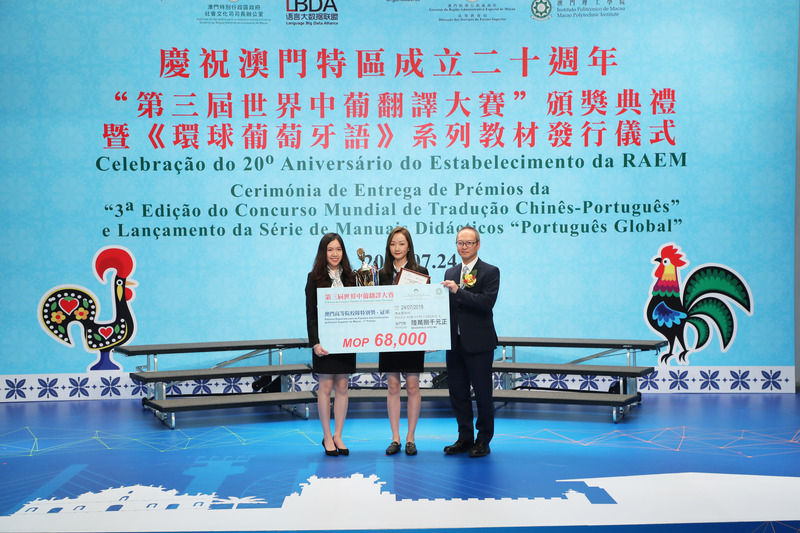 These competitions promoted the Chinese-Portuguese translation education, encouraged Chinese and Portuguese students to learn Portuguese and Chinese in depth, supported the implementation of "the Belt and Road" initiative, promoted the development and strengthened the friendly economic and trade relations between China and the Lusophone countries. To consolidate the significant role of the WCPTC and to continuously develop the teaching and learning of the Chinese-Portuguese translation, DSES and MPI, the organisers of WCPTC, decided to hold the 3rd WCPTC in 2019 based on the successful experiences. The World Chinese-Portuguese Translation Competition aims to enhance the exchange on Chinese-Portuguese translation techniques between students of higher education institutions in the world, to train Chinese-Portuguese translation professionals, and to further promote the application of the advances in Chinese-Portuguese translation teaching and research in Macao, the Chinese mainland and the Lusophone countries along “the Belt and Road”. Higher education institutions that deliver Chinese-Portuguese translation and other relevant degrees in other countries and regions. Each team is formed by two to three students. Each team can have one teacher as the coach. The students and the coach should be from the same higher education institution (including exchange students and exchange teachers in that higher education institution). The participants in each particular team should not join other teams in the competition. The coaches can coach the team of their own institutions only. They can coach more than one team. After the registration form is submitted for one month, the organiser no longer accepts any replacements or changes of team participants or coach. Each team needs to complete the Registration Form on the website of the competition before 5 pm on 31 January 2019 24 Feb 2019. The organiser will confirm the receipt of the form by email. 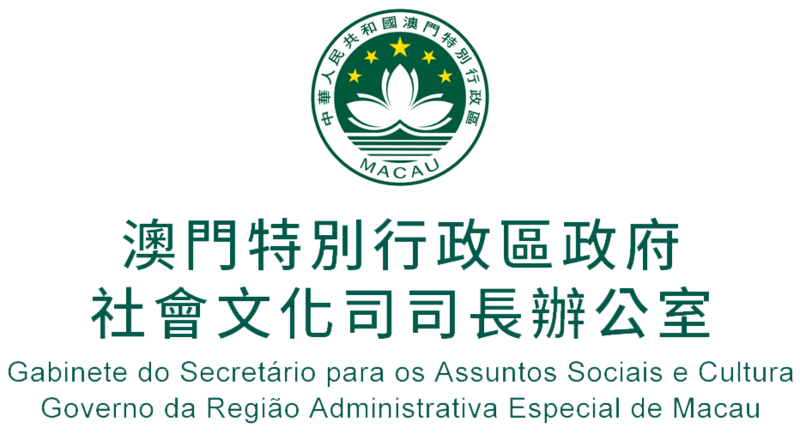 * Special Awards for Teams from Macao Higher Education Institutions aims to encourage the participation of Macao Higher Education Institutions so that only Macao teams are qualified to compete for the awards. If a Macao team wins both a General Prize and a Special Award, it will receive the one with the relatively higher cash award. The organiser randomly selects source texts and distributes the texts to competing teams through email at a specified time. Upon receipt of the source texts, participating teams should translate the source texts into target language within 3 months, starting from the following day after the source texts are delivered by email. The team should translate at least 5,000 sentences, but no more than 10,000 sentences. Submission with more than 10,000 sentences will be counted as 10,000 sentences. Only the first submission counts. The organiser does not accept any revision or resubmission once the translation has been submitted. Each team should complete their translation independently. The translation text produced by co-translation with non-team members, through plagiarism, or through editing by other parties (except the coach) is invalid, while the participant identified with the above-mentioned behaviours will be automatically disqualified. The team is fully responsible for any dispute on authorship or on author’s interest arising from the above-mentioned reasons. Consistency in language style (20%): the translated text needs to be consistent with the original in style, being elegant and graceful. The organiser will form an independent panel of judges to evaluate the translations in accordance with the criteria above. If a team translates less than 10,000 sentences of the source texts but no less than 5,000 sentences, the judging panel will deduct marks proportionally. The highest score of translations with 5,000 sentences is 70 points; and the highest score of translations with 10,000 sentences is 100 points; if any team translates less than 5,000 sentences of the source texts will automatically receive the final mark of zero and will be disqualified for being judged. The translated texts submitted by the team must be an original piece of translation. A declaration of originality must be submitted together with the translated texts. Each team must ensure that their work does not infringe any copyright or any intellectual property rights of third parties anywhere. The intellectual property of the translation works belongs to the Macao Polytechnic Institute. The Macao Polytechnic Institute owns the exclusive right of the intellectual property of all the translation works. Each team should submit their translation works according to the method indicated by the organiser. The method of submission will be announced on the website of the competition. Certificates will be issued to the teams that have completed and submitted qualified translation with more than 5,000 sentences. The award ceremony will be held in the Macao Polytechnic Institute, the winning teams and the teams whose quality of translation is approved by the Academic Committee will be invited to attend the award ceremony in Macao. The winning teams are required to participate in the related forums or academic seminars during the award ceremony activities. The participants and coaches of the winning teams must be prepared to share their translation experiences or translation skills in the forums or seminars. The organiser reserves the right to disqualify any team that fails to abide by the rules of competition or violates any applicable rules. In the event of any dispute, the decision of judging panel shall be final and appeal will not be entertained. The organiser reserves the right to amend the rules and regulations of the competition. The organiser owns all the rights for the interpretation of the rules of the competition. If there is any discrepancy between the Chinese, Portuguese and English versions of the rules of the competition, the Chinese version shall prevail.